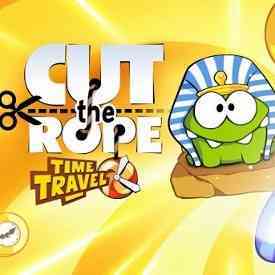 Cut the Rope: Time Travel HD - Om Nom goes to travel in time, in a pursuit for sugar candies! Now you should feed not only Om Nom as it was in the last versions of the game, but two! The game became even more fascinating and difficult! Don't waste time, visit six interesting places, such as "Renaissance", "Middle Ages", "Ancient Egypt", "The piracy ship", "Stone Age" and "Ancient Greece".